New York is known as a destination dining town. That means people travel to the city to eat it’s food and it’s residents have no qualms when it comes to traveling outside of their neighborhood to get something to eat. If you live on the upper east side and someone told you about an awesome Burger in the East Village, you wouldn’t hesitate to head down there and eat it. Truth is, we are obsessed with Food here and moreover, good dining. Even with 25,000 dining options inside our 5 boroughs, we’ll never get tired of trying new things. That’s the beauty of eating in NYC. But let’s not forget, there’s great dining available outside our walls. Don’t forget, the Food we eat isn’t grown here so chances are, dinning in other parts can get us closer to fresher Foods. At the end of the day, that’s what we want right? The freshest, tastiest, best prepared Eats right? 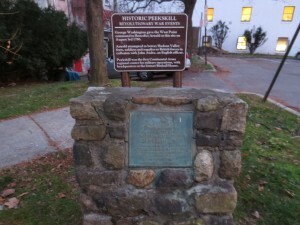 If you’re willing to get on subway to check out that new farm to table spot across town, then consider a quick train ride upstate to Peekskill, NY. After a short 56 minute ride from Grand Central you’ll arrive in a town that not only boasts the single oldest continually active Abraham Lincoln Society in the United States, the birthplace of Stanley Tucci and Paul “Pee-Wee Herman” Reubens but was also the original “West Point” when it served as the base camp for then General, George Washington’s Continental Army. While there President Washington gave orders to sign West Point over to Benedict Arnold. Centuries later, that location still stands, marked by a monument and while visiting it you can toast Honest Abe & the Father of our Country with a locally made & tasty Craft Beer. 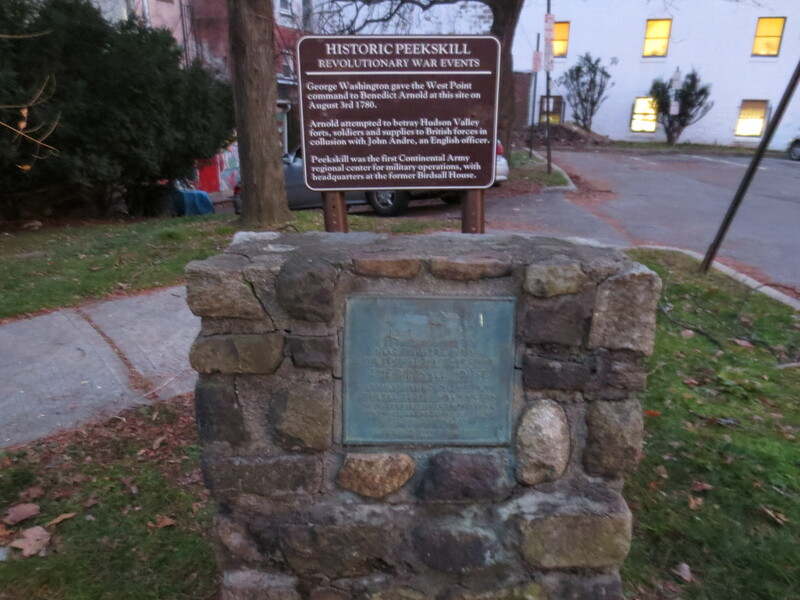 The Birdsall House now stands directly across from that monument serving locally sourced Foods and American Craft Beers with a focus on brews made in New York State. In the 1920s the building served as one of the very first A&P Grocery Stores until 1935 when it became Connolly’s Bar and Grill. It stayed in the family until 2007 when they decided to lease it and John Sharp and Tim Reinke stepped into the picture. For you Manhattanites, the two of them have a part in the Craft Beer focused, Blind Tiger Ale House. The 30 foot mahogany bar from Connolly’s still stands as does the old school phone booth located at the end but now it has 20 beer taps. Along with that comes a seasonal menu oriented around locally sourced eats, including meats from Hudson Valley farm, Hemlock Hill. Diners, young and old, gather around the bar or sit in the old school booths enjoying a selection of interesting Meats, Cheeses, Salads, Snacks, Sandwiches and of course, the one item everyone raves about, the Hamburger. My wife, her Mother Evelyn and I were looking for a big, comforting warm meal the day after Thanksgiving. Evelyn suggested the Birdsall House, which I’ve been curious to check out for sometime. We were sat immediately and my mouth started to water as I looked over the Beer and Food Menu. 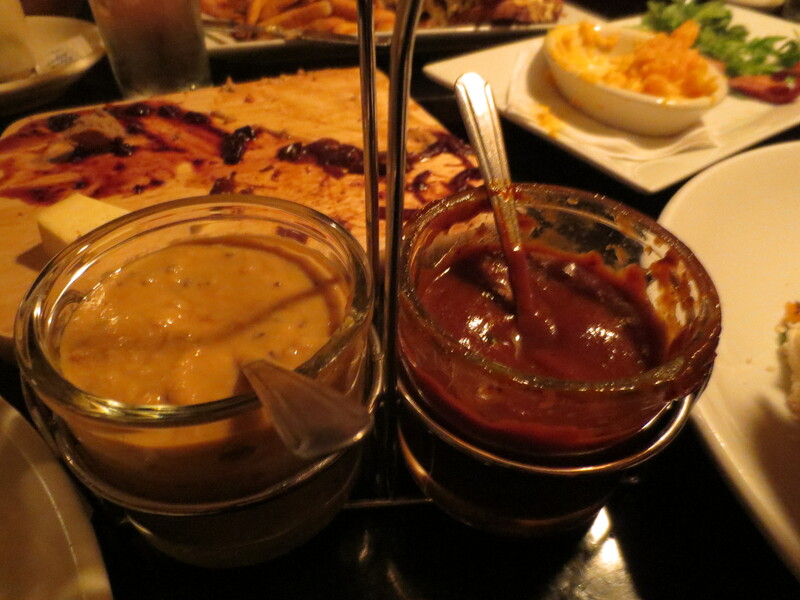 Sharing and tasting is a big part of how we like to dine which of course means appetizers. 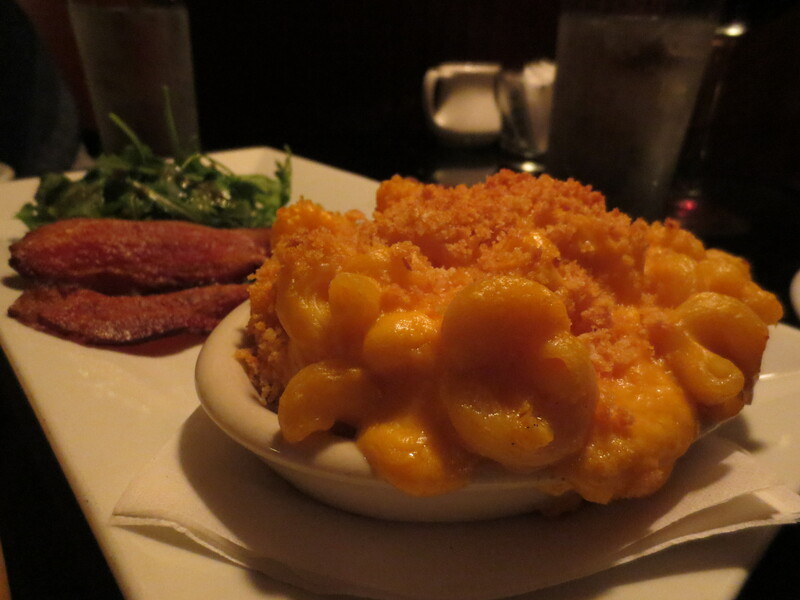 We started with the Sweet Potato Mac-n-Cheese which is served with Crispy Bacon, Baby Argula & Sage Oil. The Bacon is as crispy and smoky as the Greens are fresh. I grew up eating Stouffer’s Mac-n-Cheese and now I know where to get a fresh and delicious version of it … with Sweet Potatoes! We also ordered a selection of the house-made Charcuterie including the subtle and slightly sweet Pork and Barleywine Sausage, the creamy & smoky Chicken Liver Pate (a must eat! 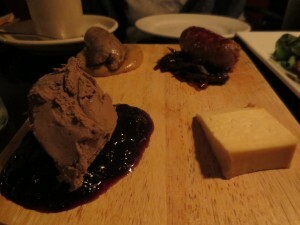 ), the Spicy Lamb Sausage and briney yet sweet Ommegang Brewery Tilson Cheese. 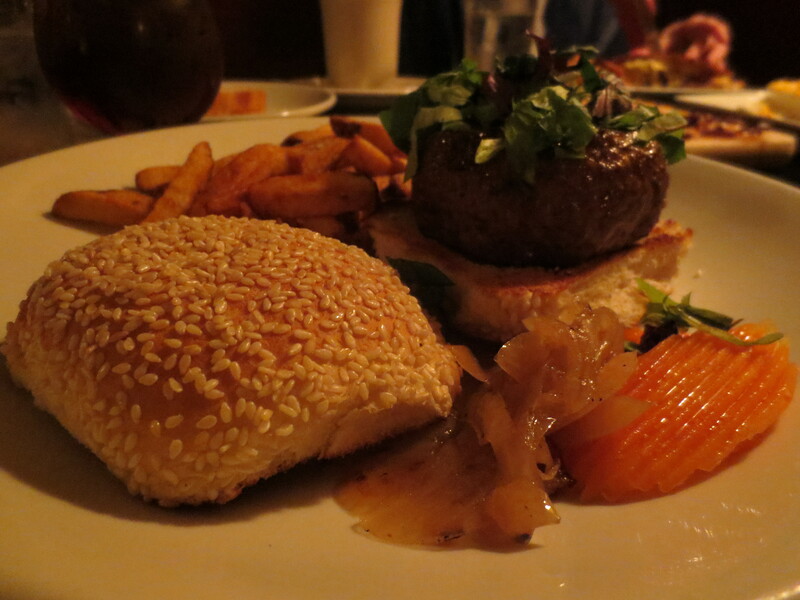 The Birdsall House Burger is served with Carrot Pickles, Caramelized Onions & Mesclun Greens on a Organic Challah Bun. 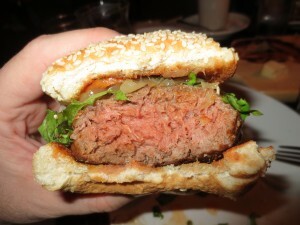 The Patty is sourced from Hemlock Hill farms whose cows are all hormone and antibiotic free. They’re pasture raised & fed on grains, including spent grains from the beer making process at Captain Lawrence Brewing Company. The Burger is a big, thick pub style Burger, probably not unlike what was found at Connolly’s back in the day. Natural Beef taste is going to be what you taste when you bite into this juicy Patty. 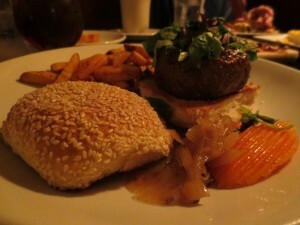 The Onions and Greens are a must to place on the Burger, however, the incredibly delicious Pickled Carrots should not. They are so good on their own but when added a top the Burger, they actually mask the great Beefiness. 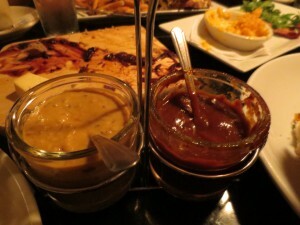 Birdsall makes their own Ketchup that has strong hints of Worcestershire Sauce and Vinegar as well as a sweet, whole grain Mustard that when combined with the Ketchup, create a sweet, smoky BBQ like sauce totally worth dipping the skin on Fries into. Whether you’re looking for a delicious, locally sourced Meal, some tasty pints of Craft Beer or an experience hundreds of years in the making, the Birdsall House is the place for you … regardless if you have to take an hour long train to get there or just live in the neighborhood. Birdsall House scores a 6 on The Rev Meter. This entry was posted in Bar, Beer, Burgers, Gourmet Burgers, Hamburgers, New York, Upstate and tagged "birdsall house", "captain lawrence spent grains", "george washington", "hemlock hill", abraham lincoln, best burger nyc, Blind Tiger Ale House, burger conquest, charcuterie, cheese, ciancio, craft beer, french fries, hamburger, John Sharp, locally sourced, new york, ny, nyc, peekskill, rev, review, the rev meter for social community, Tim Reinke, upstate. Bookmark the permalink.